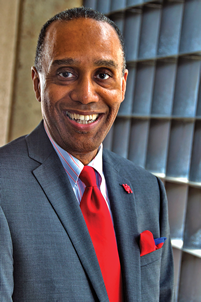 April 28, 2014 – Professor Leonard M. Baynes of St. John's University School of Law in Queens, N. Y., has been selected as the new dean of the University of Houston Law Center, Provost Paula Myrick Short announced today. The recommendation will be submitted to the UH System Board of Regents for consideration on May 7. For further information on UH Law Center Dean’s Search, please visit http://www.law.uh.edu/deans-search/.